Fatty liver occurs when excess fat accumulates inside liver cells. This means normal, healthy liver tissue becomes partly replaced with fatty tissue. The fat starts to invade the liver, gradually infiltrating the healthy liver areas, so that less and less healthy liver tissue remains. The fatty liver has a yellow greasy appearance and is often enlarged and swollen with fat. Fatty liver is now recognised as the most common cause of abnormal liver function test results in the USA, UK and Australia. Around one in five people in the general population, in the USA and Australia has a fatty liver. Fatty liver is usually associated with abdominal obesity, insulin resistance and type 2 diabetes. If severe, it can eventually lead to cirrhosis and liver failure. Many people with a fatty liver are unaware that they even have a liver problem, as the symptoms can be vague and non-specific, especially in the early stages. Most people with a fatty liver feel generally unwell, and find they are becoming increasingly fatigued and overweight for no apparent reason. Fatty liver is diagnosed with a blood test and liver ultrasound. Poor diet is the leading cause of fatty liver disease. The biggest offenders are sugar and foods made of white flour; they need to be avoided completely. However, a high intake of carbohydrate rich foods in general can promote fatty liver, as the liver converts excess carbohydrate into fat. Foods that need to be restricted include bread, pasta, rice, breakfast cereals, potatoes and any food made of flour. See our syndrome X book or Diabetes Type 2 - You can Reverse it Naturally for a low carbohydrate eating plan. Excess alcohol consumption is the second biggest cause of fatty liver. Alcohol can cause inflammation and damage to liver cells, resulting in fatty infiltration. People with a fatty liver should limit alcohol consumption to one drink per day, with at least two alcohol free days per week. Raw vegetables and fruits are the most powerful liver healing foods. These raw foods help to cleanse and repair the liver filter, so that it can trap and remove more fat and toxins from the bloodstream. Eat an abundance of vegetables (cooked and raw salads). Fruit is healthy for most people, but if you have high blood sugar or insulin resistance, it's best to limit fruit to 2 servings per day. Protein is important because it helps to keep the blood sugar level stable, helps with weight loss from the abdomen and reduces hunger and cravings. Protein should be consumed with each meal. Good sources of protein include eggs, poultry, seafood, meat, nuts, seeds, whey protein powder, legumes and dairy products. Most vegetable oil and margarines can worsen a fatty liver. Healthy fats to include more of in your diet are found in olive oil, oily fish, flaxseeds, coconut oil and raw nuts and seeds. Raw juices are an excellent source of highly concentrated vitamins, minerals and antioxidants. Your juice should be comprised of 80 to 100 percent vegetables, with the remainder comprised of fruit. Do not drink fruit juice; it is too high in carbohydrate and calories. Our book Raw Juices can Save your Life contains numerous raw juice recipes. Choose a liver tonic that combines the clinically proven dose of St Mary’s thistle with B group vitamins, antioxidants and sulfur rich amino acids. A good liver tonic can promote repair of damaged liver cells and facilitate the fat burning and detoxification abilities of the liver. Livatone Plus contains all of those ingredients and is available in powder or capsule form. Glutathione is your liver’s most powerful detoxifier and it is strongly anti-inflammatory. If you have a fatty liver you need more of it. N-acetyl cysteine is a precursor of glutathione and is known to raise blood levels powerfully. Eating sulfur rich foods also helps with glutathione; examples include eggs, cabbage, broccoli and garlic. Check it out and I'm sure you'll see great results like I did. How dangerous is grade 2 fatty liver? Also is there a way to reverse it? We recommend you obtain a copy of Dr Cabot’s wonderful book ‘Fatty Liver – You Can Reverse It’ as it provides a complete eating plan with recipes. Without a Gallbladder, it is increasingly difficult to absorb essential dietary fats and fat soluble vitamins. Ox Bile capsules – 1 - 2 capsules at the beginning of each meal to replace the bile that can no longer be delivered from your gallbladder to help essential fat and fat-soluble vitamin absorption. We also recommend you follow the eating plan in Dr Cabot's book 'Fatty Liver: You Can Reverse It'. Most cases of Fatty Liver result from a diet that tends to be higher in processed foods, damaged fats and higher amounts of starches and sugars. To reverse Fatty Liver this diet needs to change and Dr Cabot has recently released her 15 Day Cleanse - Two weeks to begin your journey toward improved liver health and function, utilising both the supplements and a tasty, easy to prepare dietary regimen. Please go to www.drcabotcleanse.com to place an order. We recommend you follow the eating plan in Dr Cabot's book 'Diabetes Type 2: You Can Reverse It Naturally'. Berberine 1 cap twice daily to stabilise blood sugar levels, help insulin sensitivity and support weight loss from the abdominal area. Glicemic Balance 1 cap three times daily with meals to support healthy blood sugar and insulin levels. Livatone Plus 1 cap twice daily to protect liver cells from damage and to help regenerate damaged liver cells. Hi! I'm jeff, I have fatty liver since last month. Is it okay to take glutathione? Taking NAC is much better to take than glutathione, as it is better absorbed than taking glutathione as NAC converts to glutathione in the body. We recommend you follow the excellent eating plan in Dr Cabot's book 'Fatty Liver: You Can Reverse It'. What grains are you talking about? What about whole grain or 7 grain bread? Are there any cereals that you would recommend? I'm referring to gluten-containing grains such as bread, pasta, rice, crackers, cereals, baked goods, etc. Good breakfast ideas include rolled oats with fruit, nuts and seeds, eggs with vegetables, and fruit with full-fat natural or Greek yoghurt. There are some excellent breakfast ideas in Dr Cabot's book 'Fatty Liver: You Can Reverse It'. After a Cat scan I was told by my Dr. that I have a fatty liver. Doing some research on my own I found that some of the major culprits (among others) are Tylenol and most pain medications, MSG and High Fructose Corn Syrup, which is in so many products these days. Read Labels and avoid it! He may have MTHFR Genetic Mutation, need to be checked. My problem is caused by that. I have the same as your husband, with this defect body does not detox so all poison literally clogs the liver. Read more on Dr. Lync website. Save me from being bed ridden, and the treatment works. Do not make doctors make you feel bad if you are overweight , my daughter is skinny as a toothpick and has fatty liver. That should be fine, perhaps check with your healthcare practitioner to be safe. I am going to try this. Hope it works for me. With fatty liver we recommend you eliminate grains, sugar, processed food and takeout meals. There is an excellent eating plan with recipes in Dr Cabot's book 'Fatty Liver: You Can Reverse It'. We recommend you eliminate grains, sugar, processed food and takeout meals. There is an excellent eating plan in Dr Cabot's book: 'Diabetes Type 2: Reverse It Naturally'. Berberine 1 cap twice daily to regulate blood sugar and insulin levels. We recommend you avoid grains, sugar, processed food and takeout meals. There is an excellent dietary information in Dr Cabot's book: 'Fatty Liver: You Can Reverse It'. Glicemic Balance 1 cap three times daily with meals to promote weight loss and reduce sugar cravings. Sugar is a major cause for fatty liver. That includes fruit juices and honey too. Kindly, let me know is it a proper treatment plan for fatty liver sickness. To reverse fatty liver we recommend she eliminate grains, sugar, processed food and takeout meals. 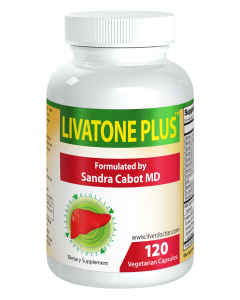 Livatone Plus 2 caps twice daily to improve liver function. This supplement contains vitamin E, as well as all the B vitamins, St Mary's Thistle, turmeric, selenium and taurine. Fish oil is a great source of Omega 3's EPA and DHA. We recommend you eliminate grains, sugar, processed food and takeout meals from your diet. I was just diagnosed with NA fatty liver.........for years I have suffered from RUQ discomfort to pain. It feels as though I have a ball under my rib cage. It ranges from little to no pain to pretty drop to your knees pain. This has been going on for many years (the pain), not diagnosed until now. I am going to order your book and follow the plan outlined, however, I have a question. What is anatomically causing the pain? Is it that the liver is enlarged and rubbing on other organs?? The pain is due to your liver being enlarged and inflamed. We also recommend you get a doctor to get a HIDA scan of your gallbladder. It's great that you plan to follow the guidelines in the book. Hi, I have just been diagnosed with "Non Alcoholic Fatty Liver Disease" and I have been taking Omeprazole for 15 years. Could this be the cause? Long-term use of medication is one of the many causes of fatty liver. To reverse your fatty liver we recommend you avoid grains, sugar, processed food and takeout meals. There is an excellent diet plan in Dr Cabot's free e-book on fatty liver. N-Acetyl Cysteine (NAC) 2 caps twice daily at least 2 hours away from food, if any upset occurs please take with meals. NAC is the precursor to glutathione; the body's most powerful antioxidant. This supplement works well with Livatone Plus to get the liver better faster. Coconut flour and almond flour are fine. To diagnose a fatty liver you will need to get a liver function test and/or an ultrasound scan of the liver. There is an excellent diet in Dr Cabot's book: 'Fatty Liver: You Can Reverse It'. I'm a 54 year old male, vegetarian, physically active excercise at least 3 times a week, never been obese, was a moderate drinker and stopped 7 years back, maintain a healthy weight, with no diabetes diagnosed whereas the lipid profile fasting sugar is 15, the rest well within limits. Doctors are baffled due above reasons. I think you may have type 2 diabetes. early, or pre diabetes, or even undiagnosed type 2 already. 2) Gallbladder shows a couple small 4mm polyps arising from the posterior wall, having a benign appearance likely representing cholesterol polyps. No diagnosis to date and speak of idiopathic? I'm still having pain from time to time and ALT and AST continue to fluctuate between very high (10 times) and slightly high 1.5 - 2x).... So far Lipase has remained within normal limits. I am eating very healthy. Close to paleo but no red meat. Don't smoke and do not and have never been a drinker. Fatty liver can be caused by a number of different reasons such as consuming too many carbohydrates, environmental toxins or long-term use of medication. In general, I eat a 95-97% healthy fresh food diet but had to stop working due to chronic-ill health and pain 7 years ago. Living on a frugal disability pension means I can only afford the basics, plus some supplements. I am dairy/grain intolerant (not coeliac) and sensitive to additives/colourings and have MCS as well, which was the start of my 'no processed food' regime some 30 years ago. I can't do a lot of walking due to foot pain and other health conditions. How does one get rid of a fatty liver on a limited income? I need a magic bullet. My belly fat was prominent even when I was young and looked very skinny. Yes I do core-strengthening exercises, but my belly fat seems to get bigger and bigger. I have HCM, in remission from Diabetes and have excellent blood sugar control, reasonably good cholesterol. I've gone from severe (inherited) obstructive Hypertrophic Cardiomyopathy to mild (at my last echocardiogram) and both my Cardiologist and Dr are astounded. I was diagnosed with Diabetes about 5 years ago (inherited from my Father's side of the family) and have been in remission for 3 years now. I've had 2 lower back surgeries so some exercises are out anyway due to constant sciatic pain and hip pain. Also have FM/CFS. I have a certificate in Herbal Medicine, Aromatherapy and massage from the 1990s so interested in alternative therapies and used Food as medicine in the past. My main problem is still fatty liver (not really high, but higher enough to want to do something about it) AND at 63, I always look 7mths 'pregnant'. My core strength is impressive, but still that great lump of fat on my abdomen and belly. I am best on the Paleo diet but can't afford 'grass fed' or organic meat. I generally only eat 2 main meals a day on my limited pension budget with a couple of snacks. (a snack for me might be a hard-boiled egg, a tomato, some slices of cucumber and carrot, NOT biscuits or processed food). I don't have white flour, rarely any sugar and no margarine or almost no processed foods. Well, I do eat black olives and sometimes I make hummus (all organic ingredients.). I do eat small amounts of walnuts, pecans & almonds, pepitas and sunflower seeds on my gluten free cereal (together with psyllium and freshly ground flaxseeds). I used boiling water on my breakfast not dairy or rice milk etc. I eat a high fibre diet in general. I read one of Dr Cabot's books about 30(?) years ago and didn't see anything much in it (that I wasn't already doing). After 40 years of a fat belly, I give up. If fatty liver is your main problem, we recommend you follow the diet in Dr Cabot's book: 'Fatty Liver: You Can Reverse It'. It sounds like you are eating quite well already, the main thing is to avoid grains, sugar, processed food and take out meals. Try to base your diet on good protein (poultry,seafood,lean meat,eggs), good fats (cold pressed olive oil, cold pressed coconut oil, avocado,seafood,nuts), fresh fruits and vegetables, nuts and seeds. If you don't wish to get both, the most important one is Livatone Plus. We recommend you follow the diet in Dr Cabot's book: 'Fatty Liver: You Can Reverse it'. This diet eliminates grains, sugar, processed food and takeaway meals. I think I have fatty liver. But to be sure, I guess I have to go to a diagnostic center and test if my guess is right. Could You please tell me what tests should I do to be sure that I have fatty liver? A fatty liver can be diagnosed with an ultrasound scan and/or liver function test. I have a fatty liver and looking for ways to reverse it .... but due to blood thinners I can't have any greens at all which I hate and I have health and beauty reasons why it's of importance to do what I can to reduce it as soon as I can... exactly what is the fastest way to reduce it in general without limitation and what's the time span for the fastest way ? Depending on how mild or moderate your fatty liver is, it could be anywhere between 6 months to a year to reverse. We recommend you follow the eating plan in Dr Cabot's book: 'Fatty Liver: You Can Reverse It'. You should eliminate grains, sugar, processed foods and takeout meals. Base your diet on good protein (chicken,seafood,lean meat,eggs), good fats, fresh fruits and vegetables and nuts and seeds. We also recommend getting some exercise in if you can, whether it be walking,cycling,running,yoga,etc. To confirm fatty liver you will need to get a liver function test and ultrasound. Fatty liver can be reversed by following the diet in Dr Cabot's book: 'Fatty Liver: You Can Reverse It'. 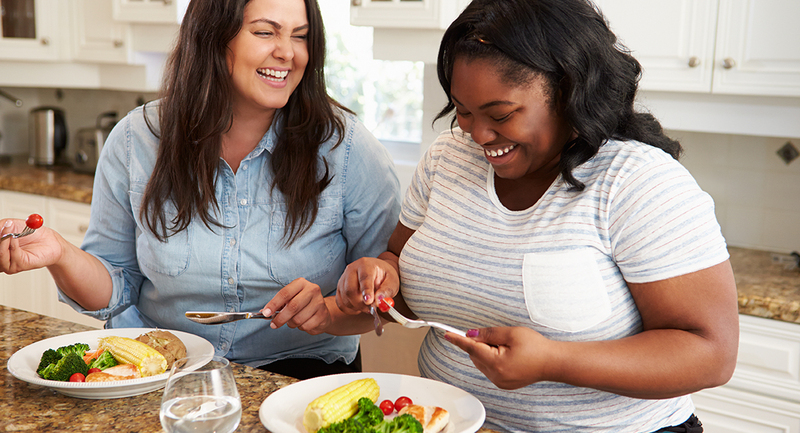 We recommend you eliminate grains, sugar, processed foods and takeout meals from your diet. Base your diet on good protein sources (chicken,seafood,lean meat), good fats, fresh fruits and vegetables, nuts and seeds. I have a fatty liver and high cholesterol, regardles BMI of 20 and very small waist.No refined carbs for more than 18 years, vegetarian very tall and slm all life, juicing organic veges daily (eating 90% organic, no grains or sugar). I believe that my fatty liver is from chemical toxicity from amalgams and work (art/craft) repated, all eliminated 10 years ago. Tried all sorts of herbs and products (Sandra's as well) for years, not much help. Any idea? Thank you in advance for any clues! You can still have a fatty liver even if you are slim. It sounds like you are doing all the right things, but there are many factors that can lead to fatty liver. Examples include environmental toxins which are almost impossible to avoid in today's society, and long-term use of antibiotics or medication. For more information see our book: 'Fatty Liver: You Can Reverse It'. Please ensure that you are getting enough protein from eggs, nuts, seeds or legumes. These last three need to be eaten together for optimal protein intake. N-Acetyl Cysteine 2 caps twice daily at least 2 hours away from food, if any upset occurs please take with meals. This supplement works well with Livatone Plus to make the liver better faster. We recommend you eliminate gluten, sugar and processed foods from your diet. Dr Cabot's book: 'Fatty Liver: You Can Reverse It' has an easy-to-follow diet plan that will help reverse the fatty liver. Magnesium Ultra potent powder 1/2 a tsp twice daily or Magnesium Complete 2 tablets daily. This will improve muscle and nerve function, and is useful in low energy states such as weakness, fatigue, etc. Hello, I have just recently been diagnosed with fatty liver by mail and the doctor suggested I exercise. I found it odd that she sent me a letter and no phone call? I also requested she do blood tests on my liver and pancreas along with a ultrasound. I also got a separate letter in the mail saying my blood tests all came back normal but the ultrasound showed the fatty liver. I only see the results for a ALT blood test but not a AST. Is. AST test necessary and what is it exactly. Also can the doctor tell me if I had have cirrhosis of the liver by the ultrasound? A month Pryor to these tests they misdiagnosed me with ulcers and I demanded they check my liver in the emergency room and they said it looked fine. I'm really upset because I been on Pepcid for quite sometime along with Tylenol and I know that's not good for the liver and quit all medications. I am really scared and have a doctors appointment scheduled because I feel fatigue and dizziness along with loss of appetite. I still have been eating and lost some weight but I also have been eating more healthy. I have been having these pains for years and am afraid it's too late. I am also a alcoholic, i do not drink everyday but I have drank a lot throughout the years. I also wanted to know IS shoulder pain related to liver problems? NAC 2 caps twice daily at least 2 hours away from food, if any upset occurs take with meals. This supplement works well with Livatone Plus to get your liver better faster. I was just diagnosed with NAFLD yesterday. My doctor didn't really explain much, except that I need to lose weight. She doesn't like low carb diets, so I'm glad I found this information and will buy Dr. Cabot's book so I can learn more about it. No it cannot be reversed, but the progression could be significantly slowed down if you take a good liver tonic and the reason you have developed cirrhosis is addressed. N-Acetyl-Cysteine (NAC 600mg) – 2 capsules twice daily well away from food, if any upset occurs take at the beginning of your meals. This supplement works well with Livatone Plus to get your liver better faster. Vitamin E – 1 capsule twice daily, to soften scar tissue. We recommend you avoid all gluten, dairy, deep-fried food and take out meals. We also recommend you avoid alcohol if this is the cause of your cirrhosis. I have NAFLD , whenever i eat eggs for breakfast i have a burning sensation during stool movement the next day and i have 4-5 times stool movement the next day. I like and want to eat eggs sometimes, please help. We suggest you eliminate eggs for two weeks and monitor symptoms. If there are no symptoms you could possibly have an intolerance/allergy to eggs. You may require an IgG test or IgE test to check for this, or you could reintroduce eggs after two weeks and see if symptoms flare up. Is sweetcorn straight from the cob a no no? I have read through the book from cover to cover but I cant find it there. Corn is technically a grain and we do not recommend any grains be consumed while trying to reverse a fatty liver. I have fatty liver and got patches like psoraisis on whole body which causes iching everywhere .Its growing and there is inflammation too .what should i do ? and also getting depressed due to patches please help . Redness and itching are classic signs of inflammation. These symptoms can be caused by allergies or autoimmune disease or be due to an unhappy liver and / or leaky gut and SIBO (Small Intestinal Bacterial Overgrowth). Avoid the foods causing the reaction and work on improving liver and digestive function. The best place to start is with your diet. The most inflammatory foods are sugar, gluten, wheat, cow’s milk, artificial additives and any food you have an allergy or sensitivity to. Avoid these foods. It is best to base your diet on vegetables, salads, protein (for example eggs, poultry, seafood, meat), healthy fats, fruit, nuts and seeds. Try to avoid processed foods and damaged fats. Livatone Plus 2 capsules twice daily will help improve liver function, reduce liver inflammation and improve bile production. NAC 2 caps twice daily at least 2 hours away from food, if any upset occurs take with meals. This supplement works well with Livatone Plus to hasten liver healing. thanks much .....but mainly for itching can u give me some tablets coz i have started course of liver now how to stop itching ....and thnkyou for your diet recommendations and can i drink buffalo milk?? If you follow the recommendations we mentioned your symptoms should improve. We don't recommend the consumption of buffalo milk, instead we recommend you have coconut milk or almond milk. hai I am thanapal 36 years ,I done ultra sound ,its report is fatty changes in liver,..i am non alcoholic,non smoker,but in my blood contain heb-B.pls suggest the solution for my healthy life. When trying to reverse a fatty liver it is important to avoid high fructose corn syrup, sugar and all processed foods. I have fatty liver my age 24 year, Height 5'-10" and Weight 80 kg. I am troubled due to pain at my back side body (Right side ) please advise me what i do. This issue was occurred 8 month ago when i got ultrasound. Liver congestion increases inflammation and may lead to pain in other parts of the body. Dr Cabot has written 'Fatty Liver: You Can Reverse It' which has an easy to follow dietary plan to reverse it and lower inflammation. NAC 2 caps twice daily, at least 2 hours away from food, but if this causes discomfort you can have it with food. NAC works well with Livatone Plus to get the liver better faster and hasten liver healing. My GGT is 99, am 37 normal weight, belly bigger than normal. I don't drink alcohol, and am non smoker. I need to know about a few things in food if you can advise please. I recommend you follow the eating principles in Dr Cabot's book: 'Fatty Liver: You Can Reverse It'. When trying to reverse a fatty liver Dr Cabot recommends you avoid sugar, grains, processed foods and high fructose corn syrup. Hi, eggs, vegetables and fresh fruits are said to be good for fatty liver but eggs are said to be with high cholesterol, and most fruits and vegetables have fructose. Eggs contain good quality protein and are a great source of omega-3 fats. Most people don't need to worry about eggs and their cholesterol as eggs have almost no effect on our blood cholesterol levels. You can eat up to 6 eggs each week. Fruits and vegetables do contain fructose, although vegetables contain a smaller amount. Most people get too much fructose from hidden sources such as processed foods and soft drinks. Fruits and vegetables need to be included as part of a balanced diet. Sugar cane juice can help? Eating eggs and rice is ok? Dr Cabot recommends you avoid all sugar when trying to reverse a fatty liver. Eggs are good, and brown rice is one of the better grains to eat, but to speed up the reversal of a fatty liver Dr Cabot recommends you avoid all grains. Livatone Plus 2 caps twice daily to improve liver function and NAC 2 caps twice daily as this works well with Livatone Plus to hasten liver healing. What's should be roughly a normal time period to reverse the fatty liver by following the diet plan, prescribed capsules with some exercise? For example a fatty liver like mine which is about 100. It could take anywhere from 6 months to a year to reverse. I recommend you get a liver function test after 6 months. I am 37, male, non-alcoholic, non-smoker, 5'7", 65kg. Stomach larger than normal. No exercise in routine. All tests clear like diabetes, ALT, Bilirubin, AST, ALK. Only one thing which is higher than normal is GGT which is 100. 1. What about eating milk-cream in breakfast. 2. Drinking water and tea 2-3 times a day? (I was reading somewhere that liquids including water is not good for fatty liver). 3. Will 2-3 miles walk a day and diet control help? 4. Will you recommend any further tests? Dr Cabot recommends you follow the eating principles in Dr Cabot’s book: ‘Fatty Liver: You Can Reverse It’. A change in diet is important in the reversal of fatty liver and exercise will help speed up the reversal. Livatone Plus 2 caps twice daily to improve liver function and NAC caps 2 twice daily at least 2 hours away from food as it works well with Livatone Plus to hasten liver healing. When reducing fatty liver Dr Cabot recommends reducing or eliminating high fructose corn syrup, sugar and all processed foods. Have you had an ultrasound scan of your liver? No, haven't done any ultrasound yet. Will you advise it? I recommend you get an ultrasound to diagnose fatty liver. Yes, almond butter is fine. Almond butter is a good replacement for peanut butter and a good source of healthy fats. I have had fatty liver since about 24 and I am now 55. I am over weight. I don't have hanging fat just big for my 5.6 frame and weigh 280 lbs. had an ultrasound about six months ago and no tumors just fat. I have bad knees and take meds regularly. I may drink once a month if that. I was told I have NAFLD. I am going to try not to take any more meds and won't drink. Being with family and all the food naturally all the wrong food that I ate. I am now so bloated and uncomfortable. I need a change now !! I have not been eating right and find it very difficult to excersize because I get tired so fast. I did do a liver clense and tried to eat right however did not follow thru. I do realize that if I don't do something now it may be to late down the road. I need an extreme program please. My wife will be helping so I have much support to prepare the right foods and drinks. I always had a strong will with everything but my eating and sweets. This is my main priority now. I need a good liver clense, diet to follow and the right supplements to maintain reversing this problem. Hey, the only cure for fatty liver is exercise. No amount of cleanses will work for fatty liver if you remain sedentary. Try resistance training in the gym, it's easier than cardio and running on the threadmill. It will heal your fatty liver. Start weight lifting gradually. The only guaranteed solution to reverse fatty liver is to keep working out regularly. I did have fatty liver & my doctor said don't worry, all you have to do is exercise regularly. I started resistance training regularly (very little cardio) and within a month my fatty liver disappeared. When you lift weights, your liver converts and releases your stored fat as you need energy to repair the broken muscle tissues. That's how it reverses your fatty liver. Is this true? That resistance training is better to reverse fatty liver? What sorts of exercises is considered resistant? Although exercise is important in the reversal of a fatty liver, it is also essential to follow the correct diet. I recommend you follow the eating guidelines in our book: 'Fatty Liver: You Can Reverse It'. You need to take Livatone Plus 2 caps twice daily to enhance liver function, promote weight loss and boost metabolism. 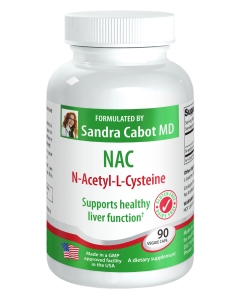 You should also take NAC 2 caps twice daily to for optimal liver function. You need to eliminate grains and sugar from your diet, with these changes your energy will improve for exercise. Hello. Jessah. Does livertone include milk Thistle? I have fatty liver, described about three years ago as 15%, hypothyroidism, a medium sized gall stone and very bad diverticulosis.. When taking milk thistle I experience bright yellow motions which is very offputting. I am at a loss as to which of my problems to cater to, as what might work for one might aggravate another. But the fatty liver is a problem because of the gallstone. Thanks for any help. All of Dr Cabot’s liver formulations have milk thistle as the main ingredient because it is the best herb for liver repair and healing. To assist your body heal from all of your conditions I am going to recommend a different course of action. Dr Cabot has written the book ‘I Can’t Lose Weight and I Don’t Know Why’ and it is recommended for you because the 12-week program it contains is the best we can offer you to cover all the concerns, if you don’t have any weight concerns it is still a very beneficial way to heal the body. Glutamine Powder – 1 teaspoon in water twice daily to calm, soothe, and heal your gut lining and resolve diverticulitis in conjunction with an anti-inflammatory diet (the one in the book). More Information provided is for better understanding purpose only and not my intention to put you in trouble reading. I hope you read all the info provided and help me in curing this disease. I am a occasional drinker and smokes 3 cigarettes previously for 5 years. Now I have stopped drinking and smoking. Stomach pain,dizziness.breath problem, chest pain. Grade 1 fatty lever and lever measures 13.3cm and shows inform increase in echogenicity with no evidence of focal pathology.intra and extra hepatic biliary passages are not dilated. Gallbladder, spleen, pancreas, kidney are normal. So finally as of my knowledge I came to know that my symptoms are due to lever fatty grade 1. So I have discontinued all the tablets I have used before but still I was facing issue with nausea, palpitations, anxiety,Stomach pain,dizziness.breath problem, chest pain after taking food and not started any medications under doctors supervision. A. Will my condition gets worsen day by day if I left untreated with medications? 1. Is this dangerous if untreated medically? 2. Diet change or medications is the only way to cure? 3. Can it be cured only with diet change with out medications ? If yes how many days it takes to cure? 4. If the disease get worse how to know and when to go for diagnosis again? 5. What are next stage symptoms? A. Will my condition gets worsen day by day if I left untreated with medications? Yes probably. 1. Is this dangerous if untreated medically? In some people fatty liver can progress to a severe form that results in cirrhosis of the liver. 2. Diet change or medications is the only way to cure? Both would help you. 3. Can it be cured only with diet change with out medications ? If yes how many days it takes to cure? It usually takes 3 to 6 months to cure mild fatty liver. The medication (Livatone Plus) will speed up results and should reduce the unpleasant symptoms you are experiencing. 4. If the disease get worse how to know and when to go for diagnosis again? You would know it’s getting worse if you are feeling worse or gaining weight. 5. What are next stage symptoms? Symptoms vary greatly. Some people have a severe fatty liver with no symptoms at all. This article is good for the layman to follow and you are very helpful that you replied the questions, impressive. please continue the other health tips. You mention NAC tablets, just what exactly is that? Just want to make sure I'm on the same page!!! NAC stands for N-Acetyl Cysteine. It is available on www.liverdoctor.com. Hello, all is right. But you missed one thing : little detail, fruits contain high amounts of fructose which most of it is immediately turned into fat by the liver (same metabolic pathway as alcohol) thus fruits in high quantities should be avoided. Zinc helps to reduce copper levels in the body, so most people with Wilson disease take a zinc supplement. Between 30 and 50mg daily is helpful for most people. Your brother should discuss the dose that’s right for him with his doctor. The recommendations here should still help your brother: https://www.liverdoctor.com/liver/fatty-liver/ Eliminating sugar is the most important diet strategy for resolving fatty liver. It does depend on whether you have a mild, moderate or severe fatty liver. If you follow the eating principles in our book: 'Fatty Liver You Can Reverse It', your liver function could be normal after 6 months. To totally reverse the cellular physical damage in the liver it may take several years depending upon the degree of fatty liver that you have. However, you will start to feel a lot better within 8 to 12 weeks if you follow the program in the book properly. This book is available on www.liverdoctor.com. Good morning am writing from Nigeria, l fatty Liver for a year and six months now, my stomach is getting big every day pls what will l do. You need to eliminate grains, refined foods, sugar and processed foods from your diet. Focus on eating good protein sources, good fats and plenty of fresh fruits and vegetables. For more information read our book: 'Fatty Liver: You Can Reverse It'. You should take Livatone Plus 2 caps daily and NAC 2 caps twice daily. These are all available from amazon. Search under Cabot Health. Raw juicing is excellent also. For more information see our book: 'Raw Juices Can Save Your Life'. I just found out that I have nafld. I am 72 yrs old....walk 3 to 4 miles daily and swim 3 days a week. I was confused about it because the things I'm supposed to do are exercise and lose weight. I eat relatively healthy and maybe could lose 5 lbs or so. What I did just read is that it might be because I am hypothyroid and on levothyroxine. Does that mean I can't do anything about it? You can most definitely do something about it. It sounds like in your case it is only a mild fatty liver, as NAFLD also goes by the name fatty liver. You need to follow a low carb diet and eat plenty of good protein, good fats and fresh fruits and vegetables. Raw juicing is also excellent. I recommend you take Livatone Plus 2 caps twice daily and NAC 2 caps twice daily. It's excellent that you already exercise, so with these dietary changes you can easily reverse it. I have a bad habit of eating white flour daily. I've continued this for about a year now. I have terrible stomach pains. My stomach at times feel bloated, I have pressure in my lower back and around my naval area it's sore to the touch. The pain feels at times like, something is inside of me gnawing at my stomach area. Can eating white flour cause fatty liver? Most definitely. Eating white flour/refined grains is one of the biggest causes of fatty liver. I suggest you eliminate refined foods (most contain white flour), processed foods and sugar from your diet. I suggest you read our book: 'Fatty Liver: You Can Reverse It'. Start taking Livatone Plus 2 caps twice daily and NAC 2 caps twice daily. I also suggest Magnesium Ultra Potent 1/2 tsp twice daily. Focus on a diet rich in protein, good fats, fresh fruits and vegetables. I highly recommend raw juicing. You can find more information in Dr Cabot's book: 'Raw Juices Can Save Your Life'. Thank you. I will definitely take your advice. hi good afternoon,,can you help me to my incoming medication ,because some of my friend got a bad result from thier past medication , A FATTYLIVER result....and thats so bad result...and i dont want to be like them! what should i eat to maintain not to become a fatty liver..thank you. I recommend you take Livatone Plus - 2 caps twice a day and NAC - 2 caps twice a day. You can purchase these from www.liverdoctor.com. You need to reduce or eliminate sugar, refined foods and processed foods. Look at eating a diet with plenty of good protein, fats, fresh fruits and vegetables. For more information see our books: 'Fatty Liver: You Can Reverse It' and 'Raw Juicing Can Save Your Life'. I have many of the symptoms of a fatty liver and have been told so by my PCP after a pelvic scan. I do not show any signs of diabetes. I have changed diet, given up white flour, potatoes, etc. as well as sugar and sugar substitutes, but am confused with the additional supplements and what products I should be taking. I have also been led to believe that multiple grain breads were healthy and should be included in a healthy diet. Also I have become addicted to honey. Can you please help? What should I be adding to my diet that I cant get from fruits, veggies, etc? That's great that you've given up sugar, substitutes and white flour. Dr Cabot recommends the elimination of grains as grains make it harder to lose weight. She recommends if you are overweight and find it very difficult to lose weight, it is more effective to exclude ALL grains for at least three months or even longer, and be on a "no grain diet". You can replace these grains with legumes (beans, lentils and chickpeas), seeds and nuts. Grains to eliminate are wheat, rye, barley, oats and rice. For your honey addiction, I would recommend Glycemic Balance.This will curb cravings for carbohydrates, both savoury and sweet. You should eat first class protein with every meal or for a snack, and consume healthy fats such as seafood, cold pressed olive, nut and seed oils, eggs, raw nuts and seeds. I would also recommend Livatone Plus 2 capsules twice daily and NAC one or two capsules twice daily. You should start raw juicing. For further information you can purchase Dr Cabot's book: 'Fatty Liver: You Can Reverse It'. Thanks I'm going to try suggestions you offered if there are some other things I can do and you can send them to me it would be appreciate that. You should avoid sugar and grains. Livatone Plus – 2 caps twice daily to boost liver function while protecting from damage. NAC – 2 caps twice daily away from food. For further info, purchase Dr Cabot's book: 'Fatty Liver: You Can Reverse It'. We recommend you eliminate grains, sugar, processed food and take out meals.